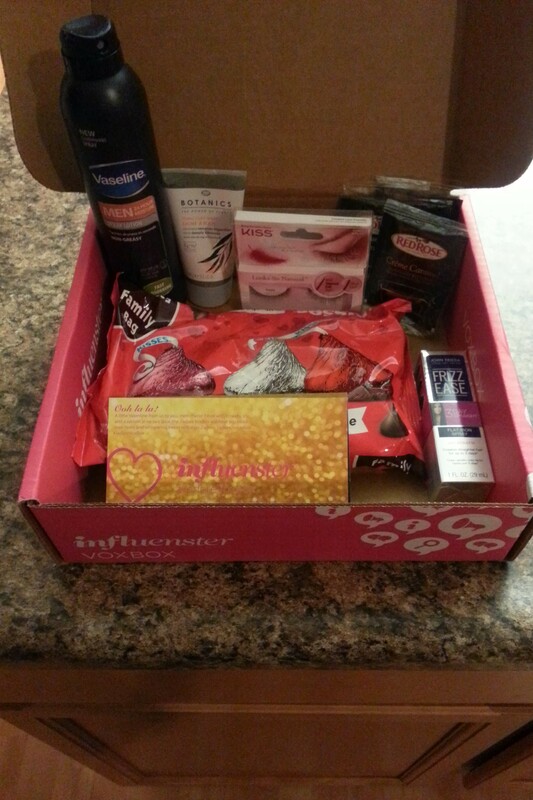 I was again chosen to participate in the VoxBox program at Influenster! It’s a lot of fun, and a nice way to try new products. This box had some fun summer products in it, including things from Hawaiian Tropic, Jamba, Not Your Mother’s and SinfulColors. The box smelled like summer as soon as I opened it! I put both the Hawaiian Tropic lotion and the Not Your Mother’s in my gym bag. Both worked great, and I smelled like summer for the rest of my workday with the Hawaiian Tropic! I painted my nails with the Sinful Colors polish, and was very pleased with how long it lasted!! There is also a nice sublte shimmer that you can’t see in above picture to the polish. Love it! Thanks again Influenster for letting me try out these products! I received my J’Adore VoxBox last week! It had some pretty awesome goodies in it. My Adeline and I loved the pink box. It was super fun to find waiting for me when I got home from work. A whole bag of Hershey’s Kisses (which my kids immediately confiscated), Vaseline spray lotion for men, Boots Botanics face mask, Frizz Ease serum, KISS lashes, and Red Rose teas. So far, we are sharing the Kisses, and we have tried the tea. The flavors are very mild, and the black tea is really good. I’ve not had a chance to try the lashes or the mask yet, but am planning to this week! The Vaseline spray lotion for men was VERY manly smelling. Super strong, which was a surprise to me. My husband won’t wear it due to the strong smell. 😦 The spray is nice, and I may try some for the gym after I shower for the fast factor. 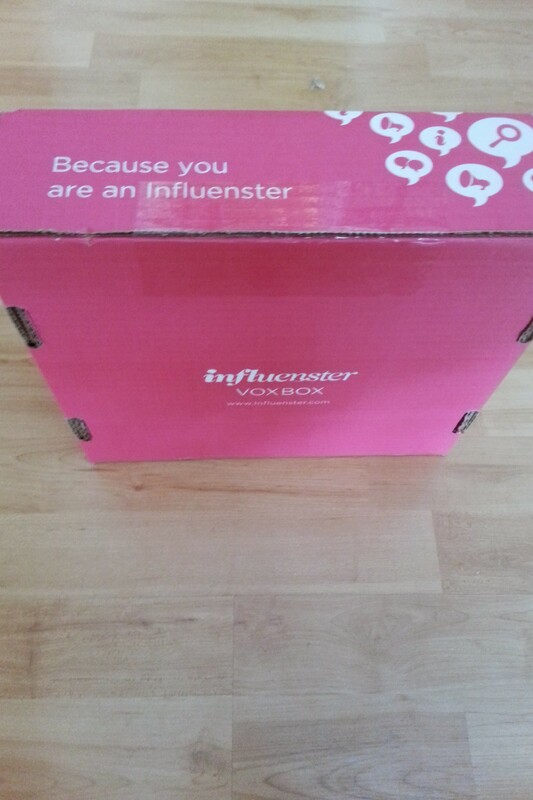 Influenster VoxBox is Headed my Way! 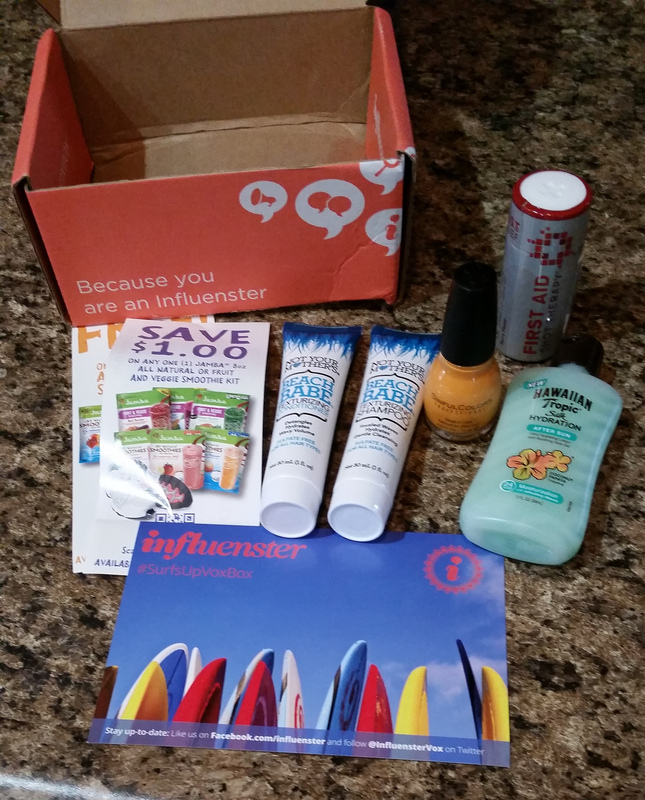 A few months ago, I was invited to join Influenster by Lora at Crazy Runner Girl. She has an awesome running blog. Just awesome. Really good stuff there, go check it out. It is a pretty cool place! I get to talk about the products I love (mostly running, I don’t think they have a “crafty goddess” badge, but maybe I should suggest it) and some Mom/family/kid things as well. You can answer people’s questions about products, and read reviews of your own. They have a program call the VoxBox. They will send you a box when you have participated enough in the community. It contains cool stuff to review! I have been doing reviews and talking about things to try to get into this program. Last week, I got an email telling me. . . . . . . . . I was IN for the J’Adore VoxBox! Super excited to get it and try the things inside and tell you all about them!